Once again, illegal alien and Pulitzer Prize-winning journalist Jose Antonio Vargas has highlighted the fact that U.S. immigration laws are woefully under-enforced. The poster boy for the illegal alien cause was recently arrested in Minnesota after allegedly driving dangerously and presenting his fraudulent and cancelled Washington driver's license to a police officer. His court hearing is today, October 18. 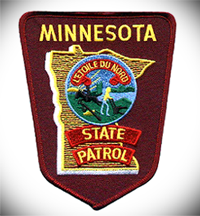 Speaking for Minnesota's state patrol Lieutenant Eric Roeske explained, "He did produce a Washington driver's license" after being pulled over. "When the trooper ran the license, it showed the status [of the license] was canceled. It also indicated there may have been fraudulent activity associated with the license. That's why [it might have been] canceled. That triggered the trooper to look into that further and contact ICE." But ICE instructed the police department to let Vargas go. ICE spokeswoman Gillian Christensen defended the agency, arguing, "ICE is focused on smart, effective immigration enforcement that prioritizes the removal of public safety threats, recent border crossers, and egregious immigration law violators, such as those who have been previously removed from the United States." Of course, it's difficult to find illegal aliens who have been previously removed when ICE isn't deporting illegal aliens in the first place. Furthermore, if the charges are accurate Vargas is a public safety threat. He was driving without a license, and doing so in a manner that put lives at risk: driving while wearing headphones, a violation of Minnesota Traffic Regulation 169.471. Vargas previously obtained an Oregon driver's license — also fraudulently — and enlisted the help of a handful of individuals who were more than happy to engage in a conspiracy to perpetrate the fraud. In order to obtain a position at the Washington Post, Vargas needed to acquire a driver's license. Though he was living in California, Vargas found that when it came to lax driver's license security, "Oregon was among the most welcoming." One of the individuals who helped Vargas obtain the ID fraudulently was Patricia Foote, assistant managing editor for the Seattle Times. The other persons engaged in the conspiracy were Rich Fischer, superintendent for the Mountain View High School in California; Pat Hyland, the school's principal; and the duo's assistant Mary Moore. Each of these individuals sent letters to Vargas at an Oregon address belonging to a friend of Vargas' father in an attempt to create the impression that Vargas lived in Oregon. While each of these individuals is likely liable under a number of Oregon state laws, it seems they may have violated federal law as well, including 8 U.S.C. 1324, which, among other things, is focused on persons who "knowing or in reckless disregard of the fact that an alien has come to, entered, or remains in the United States in violation of law, conceals, harbors, or shields from detection" that illegal alien. The statute also focuses on anyone who "encourages or induces an alien to … reside in the United States, knowing or in reckless disregard of the fact that such … residence is or will be in violation of law." This is only the tip of the iceberg. Vargas and his family have been involved in immigration fraud, Social Security fraud, and I-9 Form fraud, as admitted to by Vargas himself. He also admits that Washington Post assistant managing editor Peter Perl knowingly employed Vargas illegally. Perl admits to what amounts to a violation of federal law. Yet there have been no reports of any prosecutions for these crimes. It does not appear that Washington actually revoked the license itself, however, meaning that Vargas may still show it to board airplanes, open bank accounts, and live his life like law-abiding immigrants and U.S. citizens, even though he is far from law-abiding. This turned out to be an accurate prediction as Vargas reportedly used his fraudulent ID to acquire a rental vehicle. It is likely that he has used the ID to board airplanes as well. Even though every airport is a port of entry and is generally treated like a land border port of entry, it is common knowledge that illegal aliens routinely travel by plane without incident, provided the travel is within the United States; crossing an international border might prove more difficult. Considering that expired driver's licenses are not necessarily an issue for the TSA — and in some instances the TSA will allow a person without ID to board — it is unlikely that the agency would detect the fact that Vargas's license was acquired through fraud and had since been invalidated. If he still has it in his possession, Vargas will continue to use it. Lately Vargas has bemoaned the fact that he is too old and therefore will not be one of the roughly two million illegal aliens who will get work permits under President Obama's lawless and controversial deferred action amnesty. Yet clearly even those who do not qualify for the plan are being given a pass by the Obama administration. Enforcement of U.S. immigration policy is now dependent on a prior act of violence, according to the White House; someone must be seriously injured before the Obama administration will consider deporting an illegal alien. In Vargas's situation, his unsafe driving could have resulted in the death of an innocent. At that point DHS Secretary Janet Napolitano might have approved of Vargas' deportation. But why should Americans have to suffer before our immigration laws are enforced? Finally, why wouldn't Vargas apply for Obama's deferred action? All amnesties have massive amounts of fraud. He should apply like all of the other ineligible illegal aliens who will likely apply and hope for the best. He could send in a few applications since there's no penalty for filing multiple applications. Vargas has already learned that the Obama administration is not interested in holding him accountable for his past fraudulent acts, so why stop now? It could make for some great investigative journalism about the ease with which immigration amnesties can be gamed. This blog post will be updated as more information becomes available.